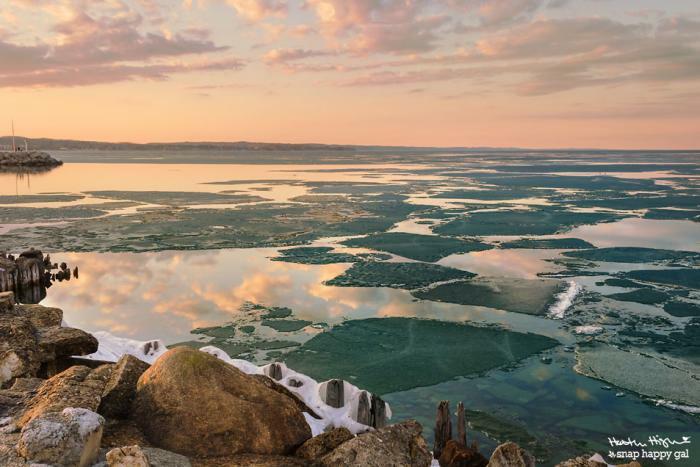 We invited local photographer Heather Higham from Snap Happy Gal Photography to share what she loves about taking pictures in the Traverse City region. Take a look at what inspires her and where she goes to get the perfect shot. When I moved to northern Michigan five and a half years ago, the desire to share its abundant natural beauty with far-flung friends and family led me to pursue a greater interest in photography. I&apos;ve photographed the Northern Lights, ice caves, lighthouses, shipwrecks, and untold miles of lakeshore, and I still regularly stumble upon amazing new destinations. The seasonal variations add even more interest, and often help cast a scene in an entirely new light. 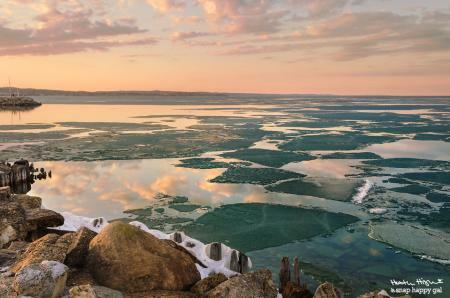 The Old Mission Peninsula changes dramatically as it emerges from thick blankets of snow to vibrant spring blossoms, before settling into a deep pastoral summer green on its way to a fiery fall palette. I often find myself revisiting the locations of past photos as the seasons change, and I&apos;m frequently rewarded with new details, lighting, reflections, and moods. I love sharing the beauty of these places and encouraging people to go out and see them for themselves. I love the untouched wilderness along vast stretches of this river’s banks. 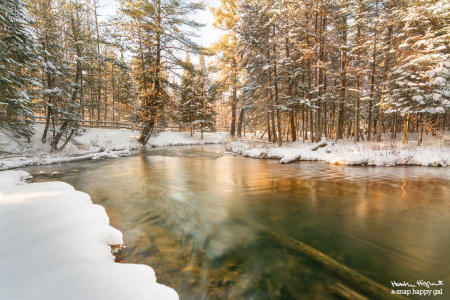 With its quick current, the clear waters of the Boardman River don’t tend to freeze, so that even on the coldest winter days you can see what lies beneath. The waters along the shore at the tip of the Old Mission Peninsula freeze early, because they’re shallow. This also makes them relatively safe to explore (always know what’s underneath before you venture out!) compared to the ice formations on the open coast. Whether it’s submerged boulders or small ice caverns, there’s always something worth photographing at Mission Point Park. With its stone breakwalls, old pilings, pier railings, and empty boat slips, the Clinch Park Marina is an easy choice to capture a stunning sunset. Grand Traverse Bay provides a beautiful view and there are always interesting natural objects in the foreground. And when the warm sunset light paints the sky and peninsula in the distance it&apos;s a shot made for memories. Heather is a Traverse City area photographer and owner of Snap Happy Gal Photography. 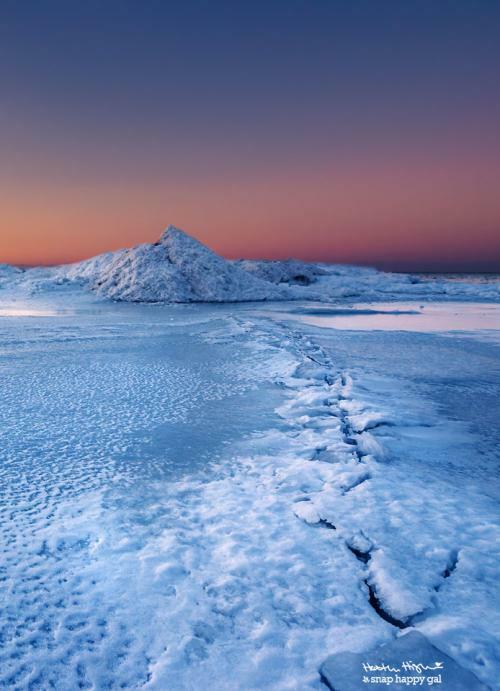 She specializes in landscape photography and has captured many of the region's stunning attractions. Take a look at her blog or Instagram page to learn more.